At just 32 pages each, the Fast Fiction series has been especially designed for pupils who don't yet equate reading with enjoyment. The compelling plots and colourful young adult characters will be highly motivating to all the pupils in your class. Short sentences and paragraphs, along with extensive use of dialogue, are further enticements to a surprisingly enjoyable reading experience. 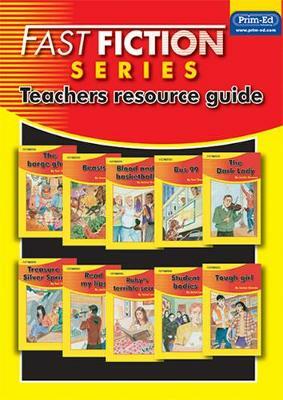 The series is also supported by a comprehensive teacher resource providing answers, a suggested lesson format, a generic book report form and four comprehensive copymasters to support each Fast Fiction title. The four copymasters provide activities for: before reading warm up, designed to encourage pupils to think about what they might already know in relation to the concept of the book; during reading comprehension and language development; and after reading summaries using the guided questions provided.